The Atlanta Bujinkan Dojo offers instruction in authentic Ninjutsu / Ninpo Budo Taijutsu, and is the oldest Ninjutsu school in the Western Hemisphere. This is a unique and fascinating martial art that offers a wide variety of benefits and rewards. The Atlanta dojo has a long-standing legacy of quality instruction, along with a positive training environment that fosters camaraderie as well as individual growth for men and women. More information is available on the dojo website at atlantabujinkan (dot) org. Training is available for both beginners and experienced students, 18 years of age or over. Regular classes are held on Tuesday and Thursday nights, and there is an extra class for dojo members on Saturdays, with an open workout time afterwards. The full schedule is listed on the Training page of our website. There are also periodic workshops, seminars and other activities throughout the year. 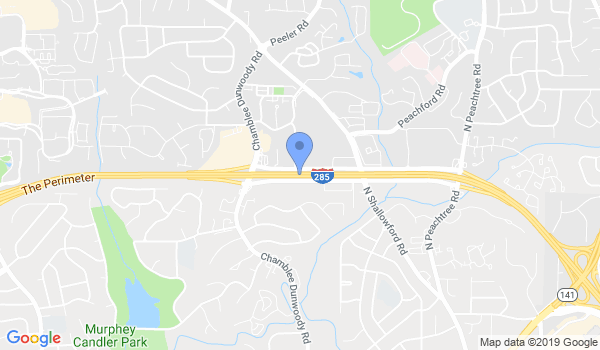 The dojo is located in Atlanta, Georgia, near the intersection of I-285 and Peachtree Industrial Boulevard. If you are interested in training at the Atlanta Bujinkan Dojo, please complete the application questionnaire. We look forward to hearing from you. Would you like more information on hours, classes and programs available at Atlanta Bujinkan Dojo? Please contact the school with your questions. Update the details, Write a Review or Report Error of Atlanta Bujinkan Dojo. View all Dojo in Atlanta or in Zip code 30338.